Continuing on from the blast from the past theme. 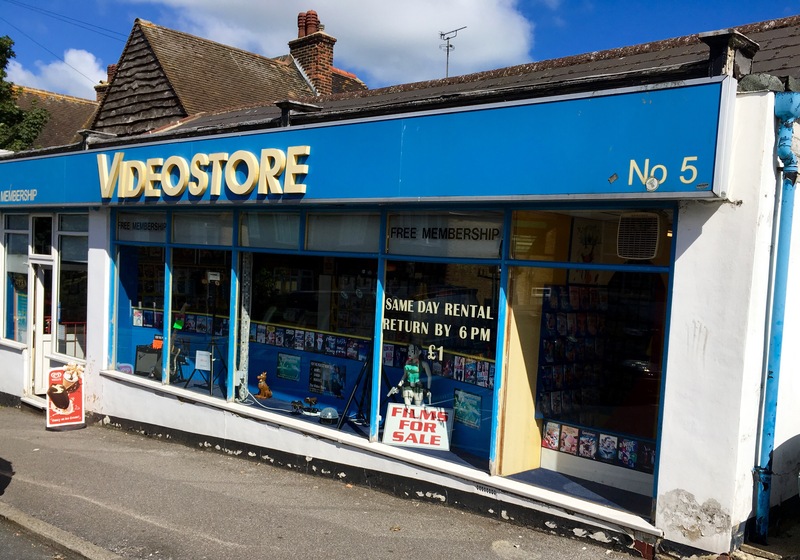 (For those who don’t know)Yes, it’s a video rental store. I saw this yesterday in a small seaside town in Kent, Broadstairs. So rare now. There was always something about looking at the covers and making your choices. On Demand is great but there was something tactile even personal about video/DVD stores. Those boxes on the shelf when I was kid like Assault on Precinct 13, Matewan , Scarface, or The Deerhunter were a great start on the way to film and filmmaking. It’s amazing how early choices can have so much of an impact on life and career. Long live the Video store and let’s not even talk about the bookstore.